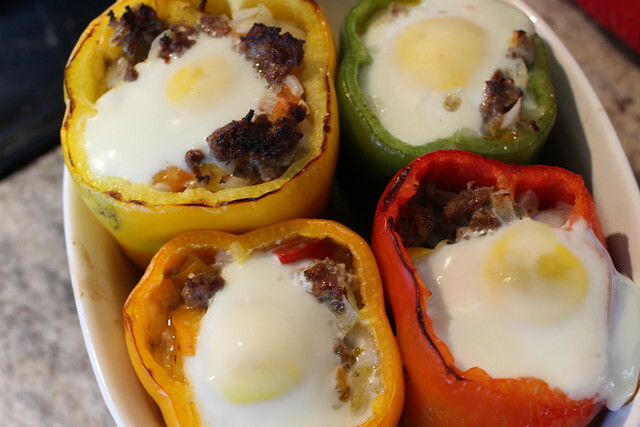 You are here: Home / breakfast / Sausage Stuffed Breakfast Peppers. 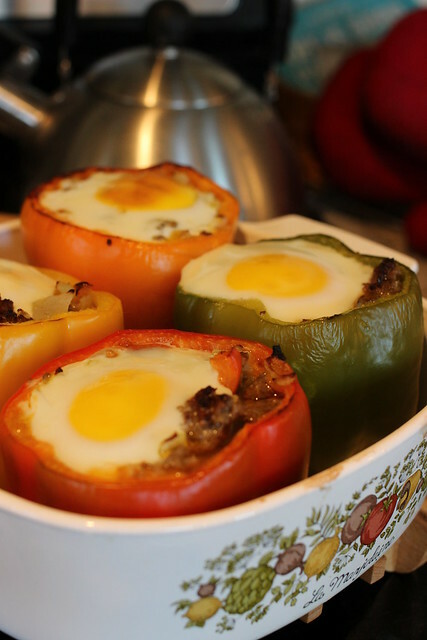 I have a bonafide stuffed pepper obsession. I mean, they’re the perfect vessel for delivering individual portions of food. They’re pretty. And hellloooo, Nurse, they’re DELICIOUS. 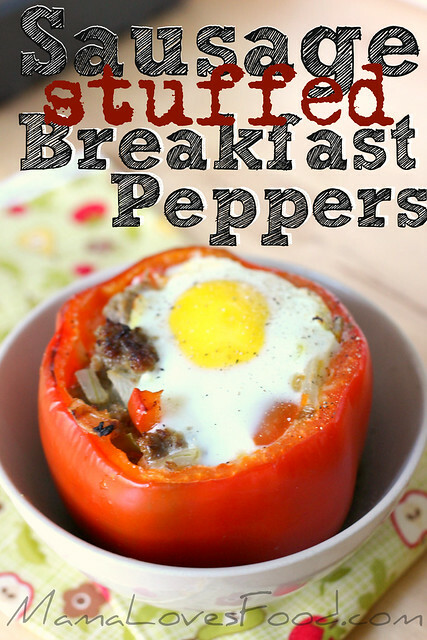 I hope you enjoy these Sausage Stuffed Breakfast Peppers as much as I do. 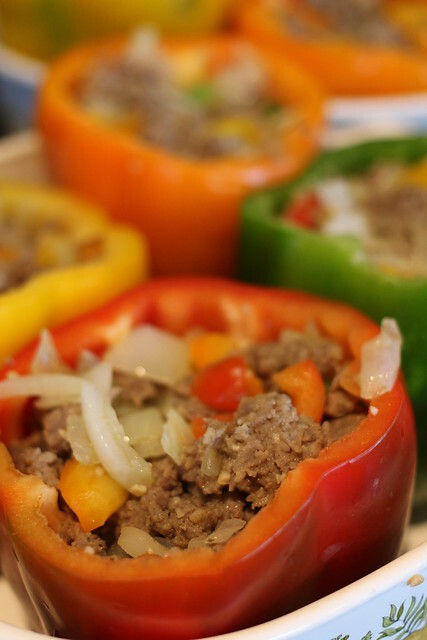 They’re gluten-free, dairy free, primal and paleo friendly. And, marvelous. Simply, marvelous. 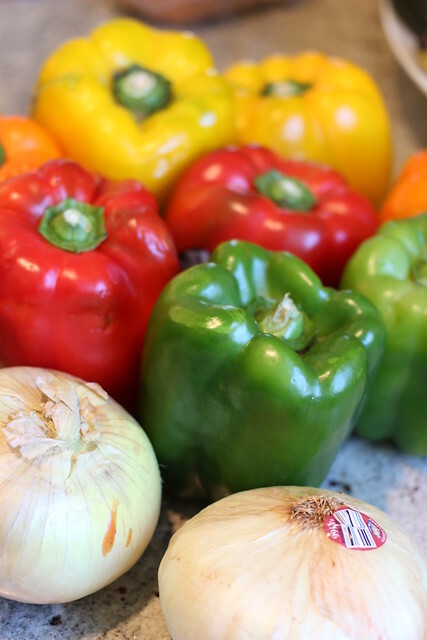 8 large bell peppers any color is fine, my market had a sale on the colorful stuff so I went with it! 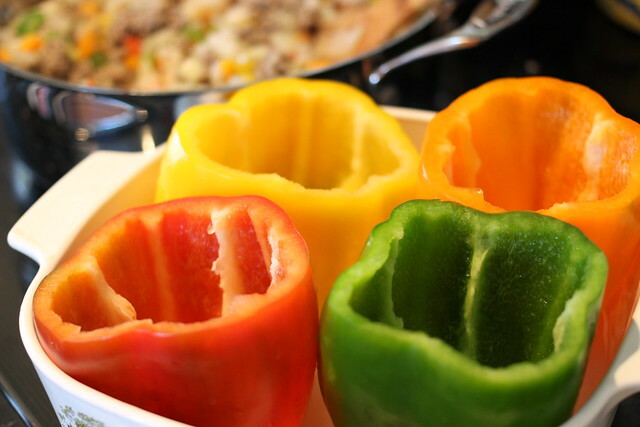 Cut off the tops of the peppers, cut away extra from around the stem. 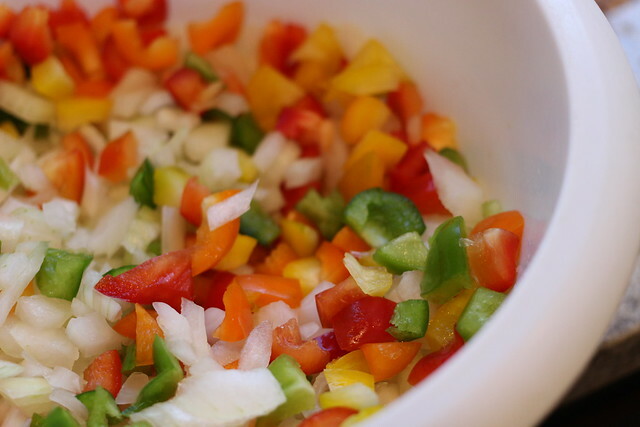 Chop and add to your chopped onion. Clean inside the bottom part of the peppers. Brown sausage, drain. 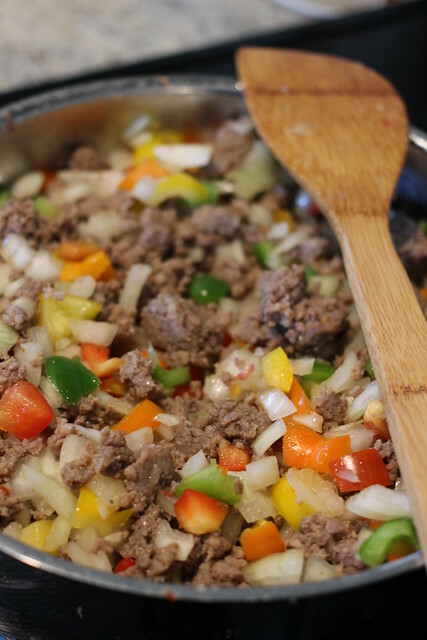 Put back on stovetop and add onion, chopped pepper bits, and garlic. Saute until onion is translucent (but not mushy). 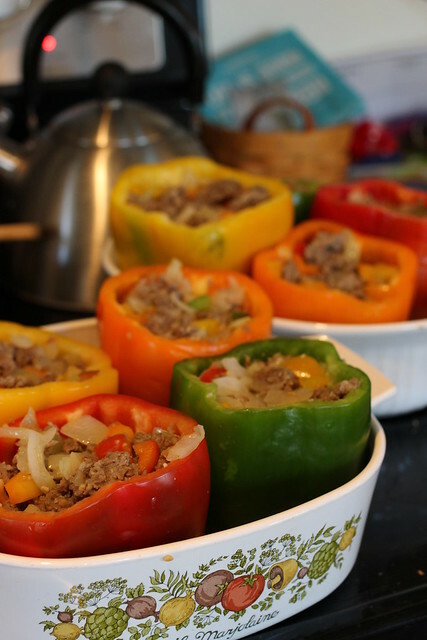 Place peppers upright in an oven safe dish. Stuff *almost* to the top with sausage mixture. 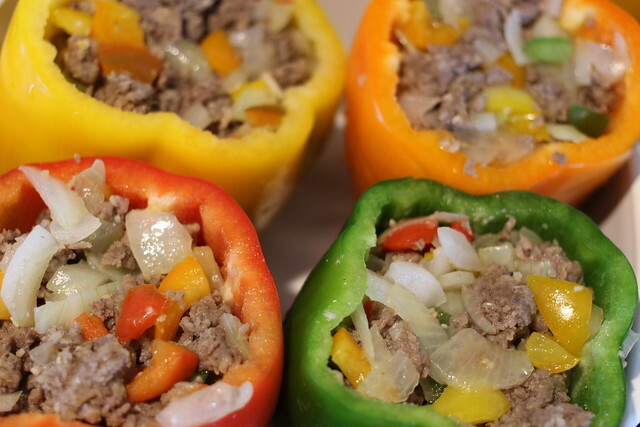 Remove foil and use a spoon to depress the stuffing and make a small well in the middle of each pepper. 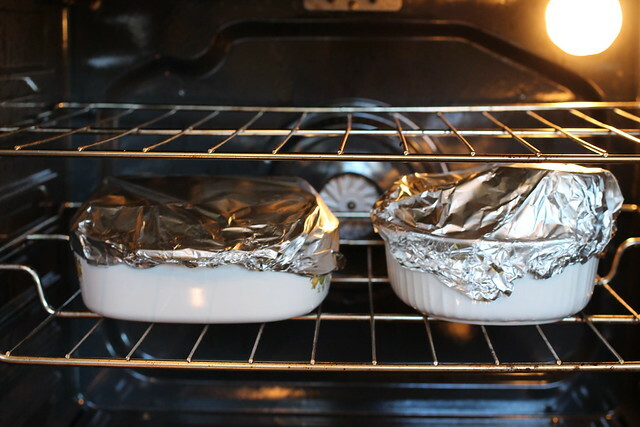 Crack an egg on top, then return to middle rack of oven. Broil for 5-10 minutes (watch closely!) 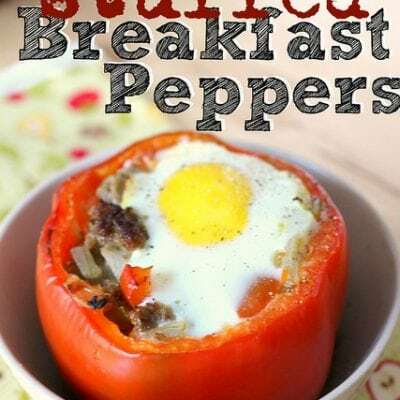 until eggs are done to your liking. 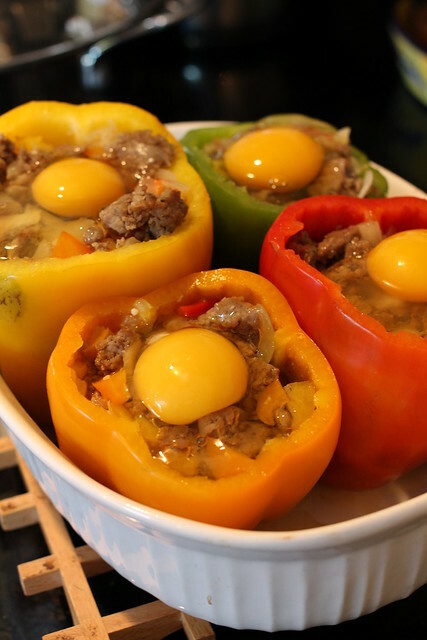 If you'd like to freeze these, set them upright on a cookie sheet and let them freeze through. Then toss in a large freezer bag. Grab out as many or few as you want when you're ready to eat! 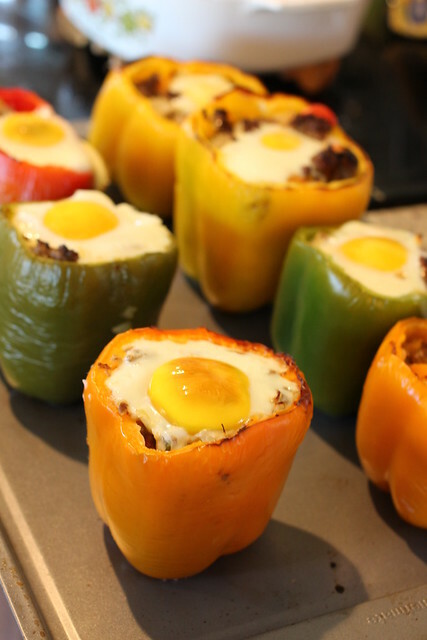 And if you love stuffed peppers (like me!) 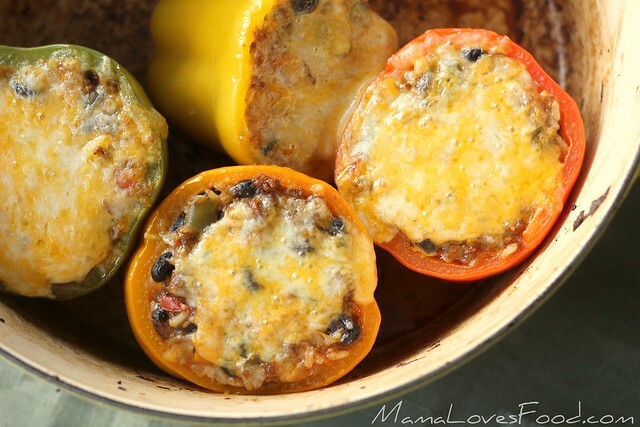 be sure to check out these Mexican Style Stuffed Peppers! NOTE: If you’d like to freeze these, set them upright on a cookie sheet and let them freeze through. Then toss in a large freezer bag. Grab out as many or few as you want when you’re ready to eat! « Secrets to the ULTIMATE (Paleo) Smoothie! 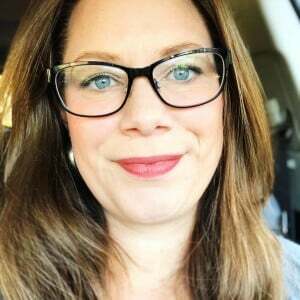 Question about freezing them. 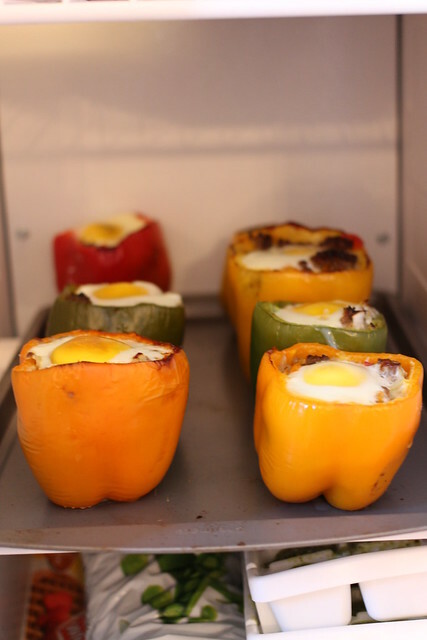 I take it we don't have to defrost them, just pop them in the oven and cook, and then do the egg part as in the recipe?